TelcoBridges Ttrans™ family of Transcoding gateways are stable, reliable, scalable, and predictable. By using hardware accelerated transcoding, Ttrans gateways maintain the same level of performance regardless of whether they are operating at low capacity or at full capacity. In other words, cumulative charge does not affect the TelcoBridges Trans hardware accelerated transcoding gateway. Furthermore, Ttrans supports a multitude of codecs. Many of them are already indemnified, which means you do not need to pay additional fees to use them. Additionally, all of TelcoBridges' Ttrans Gateways include the unique TB analytics suite of monitoring and diagnostic tools. This industry exclusive allows you better manage and control your entire network. Learn more about TB analytics by clicking here, or contact one of our Trusted Advisors to discuss further. The TMGIP800 is software upgradeable from 203 to 530 VoIP channels. The TMGIP800 is the most cost effective Transcoding gateway, one box (1U) transcoding gateway solution. The TMGIP3200 is software upgradeable from 514 to 4240 VoIP channels. The TMGIP3200 is the most cost effective Transcoding gateway, one box (1U) transcoding gateway solution. The TMGIP7800 is software upgradeable from 512 to 54400 VoIP channels. 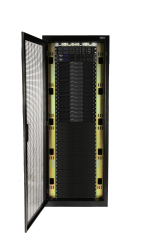 The TMGIP7800 is a highly stable, reliable, scalable, flexible, and predictable transcoding gateway.